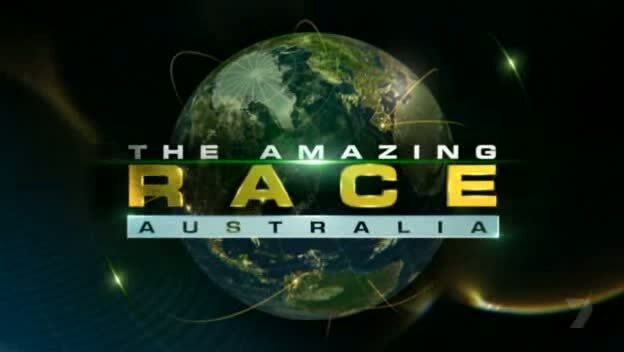 The Amazing Race has been nominated for six Primetime Emmy Awards this year including its 12th nomination for Outstanding Reality-Competition Program. TAR is nominated in all the categories it was nominated for last year with a return nomination in the Outstanding Directing category. Unfortunately, Phil Keoghan has been shut out of the Outstanding Host category for the 2nd year in a row. TAR went home empty-handed last year. The episode TAR submitted this year was Season 23’s Episode 9, “Part Like the Red Sea,” probably the only Emmy-worthy episode in the last year that feature teams Racing through Indonesia and Nicole’s epic meltdown. 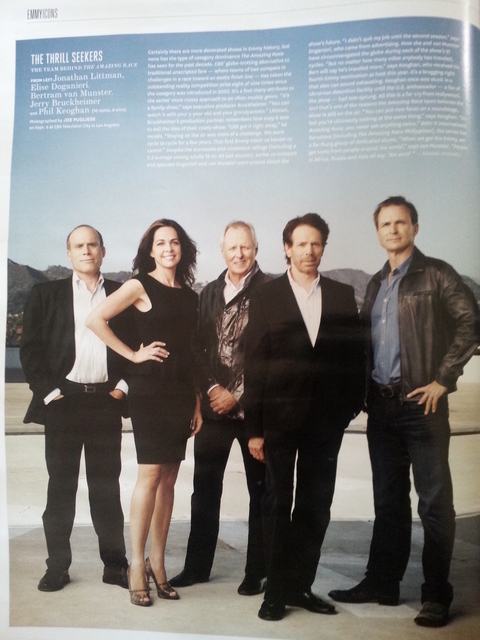 The Amazing Race Nominated for 5 Emmys; Phil Keoghan Snubbed! The Emmy nominations are out and The Amazing Race is once again nominated in the category it has dominated, Outstanding Reality-Competition Program. But this year, TAR is only nominated in five categories, down from seven last year. And the two omissions are big ones. Phil Keoghan is not nominated for Outstanding Host, the first time since 2009 Phil was not nominated when the category was introduced in 2008. And Bertram Van Munster is not nominated for Outstanding Directing for Nonfiction Programming after five previous nominations. Phil’s snub seems to have made way for Anthony Bourdain to sneak into the category for The Taste, while Survivor scores two nominations in Directing for Nonfiction Programming for its two finales. The nominees in the main Reality-Competition Program category are unchanged from last year; Dancing With the Stars, Project Runway, So You Think You Can Dance, Top Chef, and The Voice. The Amazing Race maintains its Emmy dominance winning its 9th Emmy in 10 nominations for Outstanding Reality-Competition Program. TAR submitted Episode 8 of season 20, “Let Them Drink Their Haterade” and fended off its fellow repeat nominees plus darkhorse newcomer, NBC’s The Voice. TAR’s only loss was in 2010 to Top Chef. In the Host of a Reality-Competition Program category, Tom Bergeron from Dancing with the Stars won his first Emmy and broke Jeff Probst’s own hold in the category after not being nominated this year. TAR host Phil Keoghan doesn’t go home empty handed though as he gets his own statue as part of the TAR production team. Certainly there are more decorated shows in Emmy history, but none has the type of category dominance The Amazing Race has seen for the past decade. CBS’ globe-trotting alternative to traditional unscripted fare — where teams of two compete in challenges in a race toward an exotic finish line — has taken the outstanding reality competition prize eight of nine times since the category was introduced in 2003. It’s a feat many attribute to the series’ more classy approach to an often muddy genre. Despite the accolades and consistent ratings (including a 3.3 average among adults 18-to-49 last season), series co-creators and spouses Elise Doganieri and Bertram van Munster were unsure about the show’s future. “I didn’t quit my job until the second season,” says Doganieri, who came from advertising. Now she and van Munster have circumnavigated the globe during each of the show’s 21 cycles. “But no matter how many miles anybody has traveled, Bert will say he’s traveled more,” says Phil Keoghan, who received his fourth Emmy nomination as host this year. It’s a bragging right that also can sound exhausting. Keoghan once was stuck in a Ukrainian detention facility until the U.S. ambassador — a fan of the show — had him sprung. All this is a far cry from Hollywood, and that’s one of the reasons the Amazing Race team believes the show is still on the air. “You can put new faces on a soundstage, but you’re ultimately looking at the same thing,” says Keoghan. The Amazing Race Nominated for 7 Primetime Emmy Awards! It’s that time of year again. The Emmy nominations were just announced and The Amazing Race has again been honored with noms. 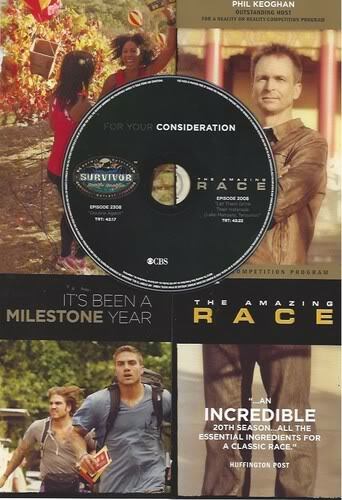 TAR is nominated in seven categories, all of which the same categories they were nominated last year, including Outstanding Reality-Competition Program and Phil Keoghan for Outstanding Host. Betram van Munster returns as a nominee for Directing as well as nominations for Cinematography, Picture and Sound Editing and Sound Mixing. While TAR’s nominations mirror the last two years, its fellow nominees have drastically changed. This year, TAR goes up against familiar foes, Dancing With the Stars, Project Runway, So You Think You Can Dance, and Top Chef, but also new nominee The Voice, taking the slot previously held by American Idol. This now makes The Amazing Race the longest running nominee in the category since it was introduced in 2003. Meanwhile, host Phil Keoghan gets a new fellow nominee as well with Betty White taking Jeff Probst’s slot amongst those tapped in the Outstanding Host category. Ryan Seacrest, Tom Bergeron and Cat Deeley return as nominees. The Emmys will air on ABC on Sunday, September 23rd. I’ve decided to keep this post updated every year. Oman – BJ & Tyler NEL; Bedouins! Camels! India – Kynt & Vyxsin eliminated; Ron & Christina putting up the poster and stepping on flimsy crates! Kynt & Vyxsin yoga Speed Bump. Tanzania – Seth & Olive eliminated; U-Turn, passport drama, market shopping. 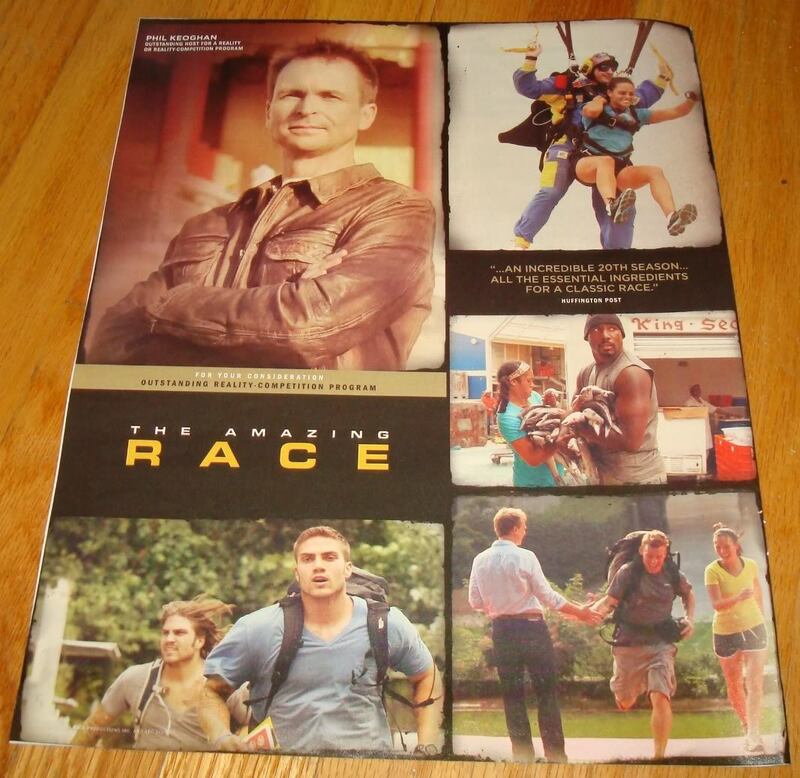 The Amazing Race’s 2012 Emmy Submission Revealed! 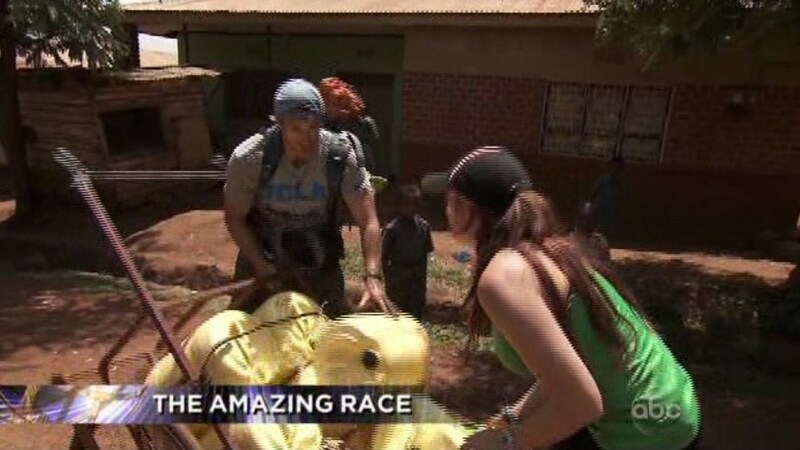 The Amazing Race‘s 2012 Emmy Submission Revealed! The Amazing Race submitted Episode 8 of its milestone 20th season for Emmy consideration this year. “Let Them Drink Their Haterade” will try to get TAR its 10th Emmy nomination and 9th win at this year’s Emmy Awards. I thought the episode would be their Emmy submission when it first aired and it’s a great choice. The leg featured some of the only real head-to-head competition of TAR20, great interactions with the locals, solid enough tasks and some breathtaking HD footage of the teams on safari on the Tanzanian countryside. This year’s Emmy nominees will be announced Thursday, July 19th. Good luck TAR! Clear Eyes, Full Hearts! Congratulations Kyle Chandler and Jason Katims! What a night! A huge congratulations to Kyle Chandler and Jason Katims for their Emmy wins tonight. So well deserved and such a long time coming. Also congrats to Connie Britton and Friday Night Lights itself for their long deserved nominations and should-be wins. 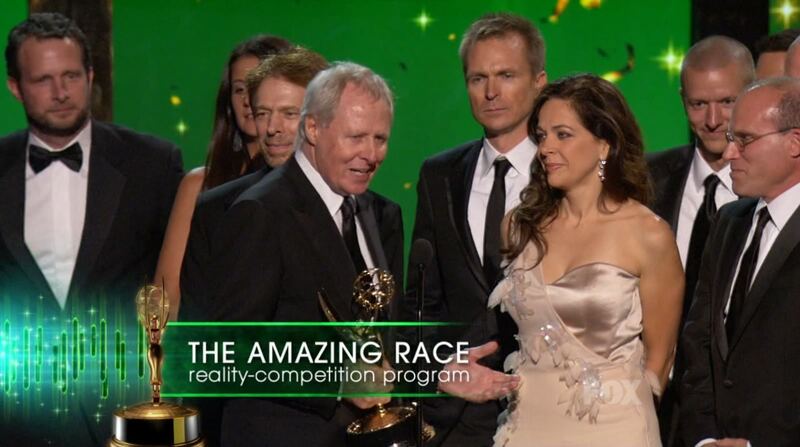 The Amazing Race returns to its Reality-Competition Program Emmy throne with its 8th award in the category in nine nominations. TAR lost to Top Chef last year, its first loss since the creation of the category.